Want to know what real mums think about one of our favourite monitors? The verdicts are in – and we’re blown away! 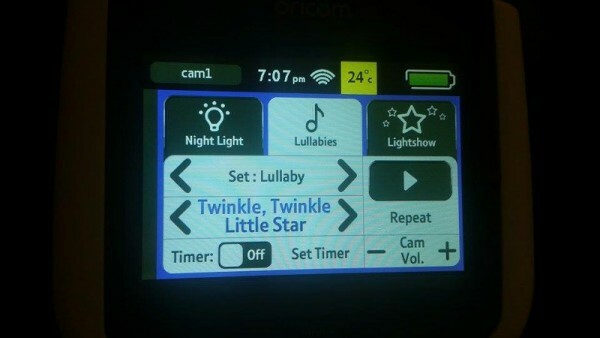 We were super keen to hear what our review families thought of the Oricom Secure870 video baby monitor, and all its high-tech functions, as well as how their babies responded to the built-in light show and lullabies. 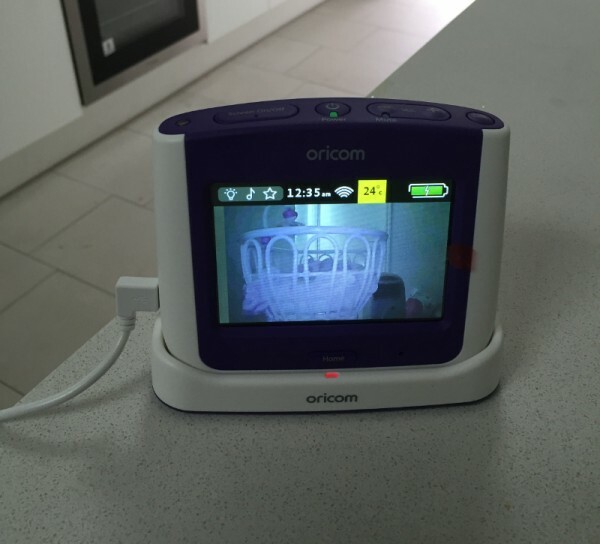 We recently gave some of our Babyology families the chance to test out the Oricom Secure870 video baby monitor in their own homes, and they’ve dutifully reported back. Each of the families had a child under 12 months old, so they were able to put the Secure870 to the ultimate test. This is the third baby monitor I have used in the last 12 months. It is by far the best one out of all three. I found it easy to use and better yet, so did my mother which is important as she minds my 11-month-old daughter. The picture quality is amazing, and with the pan and tilt I can see absolutely everything and feel very comfortable that my daughter is safe and happy. The monitor is easy to use once you’ve had time to explore the functions. The night vision camera is fantastic and I highly recommend the product to others! If they wake up you can talk to them through the parent unit, or set lullabies, white noise (including vacuum cleaner and hairdryer – my baby’s favourites to sleep to) or classical music with lots of options in each category to find what suits your baby, or you can turn on the most beautiful outer space light show which displays on a wall or the roof depending on where you set the camera, to lull them back to sleep or to distract them for a while before you go in. Or if your little one needs a night light to sleep you can switch it on or off at any time. The lullabies and the light show is amazing! My daughter is such a visual person so when she’s unsettled before bed, it’s an easy thing now! Shut the door, turn the light show on and she is glued to the roof until she drifts off. The lullabies are gentle and soothing. She loves them a lot more than the white noise however I believe this is due to her age. The movement of the camera for me was a massive plus! My daughter moves from side to side throughout the night and sometimes I could never see her during the night and would have to get up to move it. Now, not only is the camera wider for me to see anyway, I can move it from my bedroom without having to worry about opening the door and disturbing her. The fact I can do everything from my remote gets an A+ from me! I don’t like having to go in and worry about waking her up and now I don’t have to. This is the best baby monitor I have ever seen or used. I will recommend this to everyone! If you are a customer thinking of buying a video monitor, don’t hesitate to buy the Oricom870, there is not one negative thing I can say after using it. The sound quality (I can hear him breathing) and the camera image are brilliant even in night vision, it gives so much peace of mind to see your baby whenever you want without stepping in the room, and being able to zoom in and out is great, as well as in any direction so no matter where in the cot baby is you can find him on camera, and my bub sure travels, it’s fun to watch! 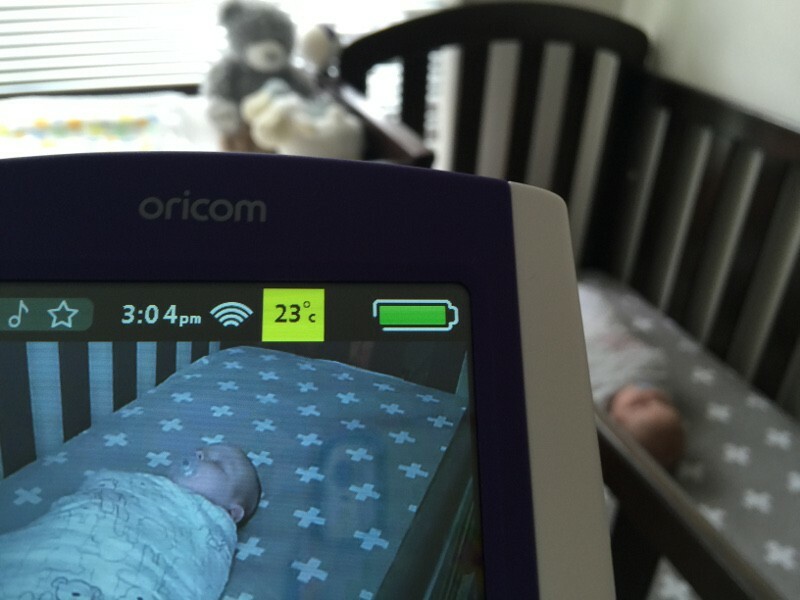 There is a temperature reading on screen so you know exactly how warm it is in the room, with the parent unit telling you if it’s too hot or too cold, or just right. Another aspect I love is the feed timer, it tells me when bub is due for his next feed! So impressed with everything! You can purchase the Secure870 directly from Oricom for $359. 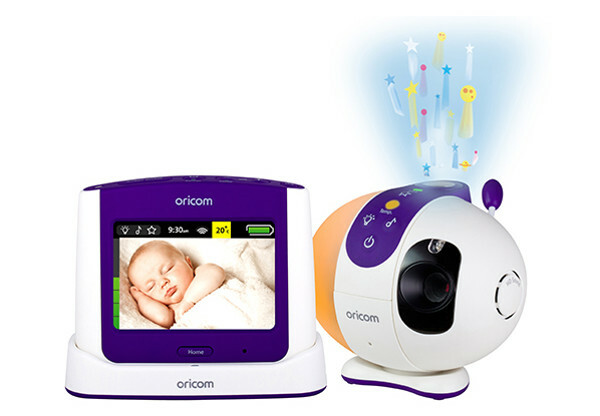 Thank you to all of the wonderful Babyology families who took part in our review, and for supplying some brilliant photos of your beautiful bubs with their Oricom Secure870 monitors!